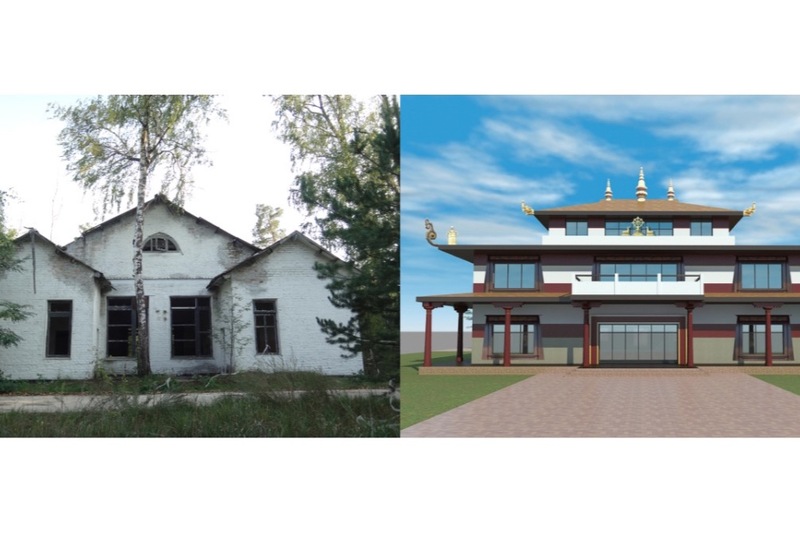 Help Rangjung Yeshe Ukraine community in building the first Buddhist temple in Ukraine, that will serve as a place of study, meditation, and cultivating wisdom. WHAT IS OUR FINAL AIM? Construction of a fully functional retreat complex where traditional three-year retreats will take place under the direction of our teacher, Chokyi Nyima Rinpoche, and uphold the commitment to support the international Buddhist community of Rangjung Yeshe. The future temple will be built on the basement of an old dining hall left over from the former Soviet recreation camp. The grounds, located only one hour from Kyiv by road, are surrounded by splendid forested nature, including river and lake. Now there is an old dining hall left over from the recreation camp. It is in need of a major repair and renovation. By June 2018, we need to build the temple. Using the existing foundation, upper floors will be constructed. In June 2018, our teacher, Chokyi Nyima Rinpoche, will arrive. We plan on holding a teaching seminar in the new temple. - You will be a co-founder of an authentic Buddhist temple dedicated to traditional spiritual practice. - You will help in creating a place for group and individual retreats, including the monastic education of Buddhist teachers, i.e. Lamas in Ukraine. - You will be promoting the spread of Buddhist wisdom, bringing happiness to those who wish to learn. - You will gather merit and create auspicious conditions for your future. Around 500 people from Kyiv, Kharkiv, Donetsk, Lviv, Dnipro, Poltava, Uzhhorod, Kherson, Kryvyi Rih, Melitopol, Sevastopol. 108 registered members. We study Buddhist philosophy and practice meditation for cultivating wisdom. We will build the wall of the temple with the bricks bought by our sponsors. Each brick will have on it the engraved name of the sponsor, who donated $1000 USD or more. Happy Chotrul Duchen to all of the Ukrainian Jangchub Choling Temple Founders and to all of our supporters! May the the buddhas' miracles take place in everyone's life! As you may already know, at the end of the previous year Chokyi Nyima Rinpoche made a donation of $10,000 for building Jangchub Choling Temple in Ukraine. It was Rinpoche’s wish that his donation be multiplied, increased and raise much more contributions. You can watch the video about this joyful event at: https://youtu.be/kVriG0tElCk. As you see, our teacher is both spiritual founder of the temple and one of the donors as well as many of those who already followed Rinpoche's example. See the full list of Jangchub Choling founders at https://gomdeua.org/jangchub-choling-en.php . We would be very grateful if you could share this information among your friends and highly appreciate your efforts to help us raise more funds to fulfill the project. 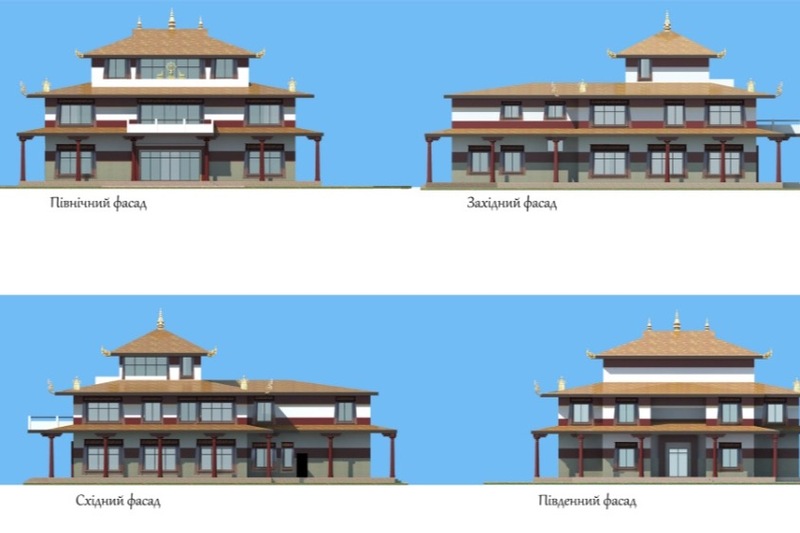 This year we are launching a webpage in Chinese about Jangchub Choling Project in Ukraine https://gomdeua.org/jangchub-choling-ch.php . 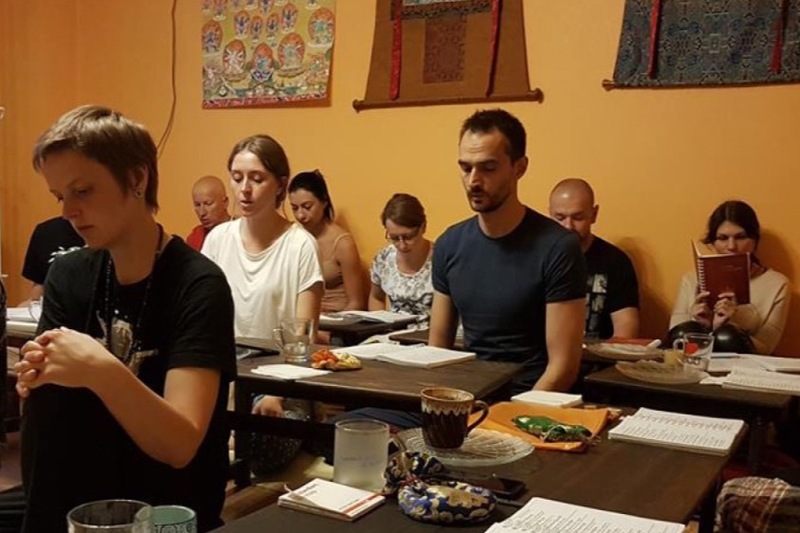 We believe that we can fulfill Rinpoche's vision of turning the Ukrainian Gomde іnto an international center open for the practitioners from all over the world! To further the project, we have received blessings from the renowned yogis and teachers – Garchen Rinpoche and Jigme Rinpoche. Both Buddhist leaders have consecrated the soil brought from Jangchub Choling – their blessings and auspicious wishes imply that in the future all Buddhist practitioners of all lineages can feel home here. Since Chokyi Nyima Rinpoche has supported the idea of a business project to create well-functioning Chinese medicine clinic built on the land of Jangchub Choling in order not only to get return on investments but also to assist in developing the retreat center, we are planning to involve some businessmen, who are related with Dharma and are Chokyi Nyima Rinpoche's disciples. And we have already received some first positive responses from one of the potential investors. Finally, we have reached the pre-construction stage – and are preparing project plans and documentation, in particular, solving finance-related issues, involved in construction site preparation activities, etc. If you are willing to help us by imparting your energy or to participate whatever way you can – to contribute money, expertise or prayers, etc. do not hesitate to contact us, we will be happy to hear from you. Finally, we have reached the pre-construction stage – we are preparing project plans and documentation, in particular, solving finance-related issues of the preparation of the construction site, etc. If you are willing to help us by imparting your energy or to participate in whatever way you can – to contribute money, expertise or prayers, etc. do not hesitate to contact us, we will be happy to hear from you. Traditionally, we make an offering on the occasion of Tsekar Drubchen (Longevity practice of White Amitayus) and do it on behalf of all Jangchub Choling founders, for the third year in a row. (This year the drubchen is held on 13-21 February at Ka-Nying Shedrub Ling monastery). May it bring you good health, long life, prosperity and remove all obstacles. Chokyi Nyima Rinpoche donates 10,000 US dollars for the Buddhist temple construction in Ukraine! During the annual international seminar of Rangjung Yeshe Insitute in Katmandu, our Teacher and the abbot of Ka-Nying Shedrub Ling Monastery has made his own donation of 10,000 US dollars for the construction of the Buddhist temple in Ukraine. This Teacher's act of generosity proves Rinpoche's great love to his students and his serious intention to create a fully functional retreat complex including the temple and a library with the best conditions for mind healing and development. May the wisdom, love and Chokyi Nyima Rinpoche's words reach each and every heart and all Rinpoche's students follow his example and support the construction of the Jangchub Choling temple. 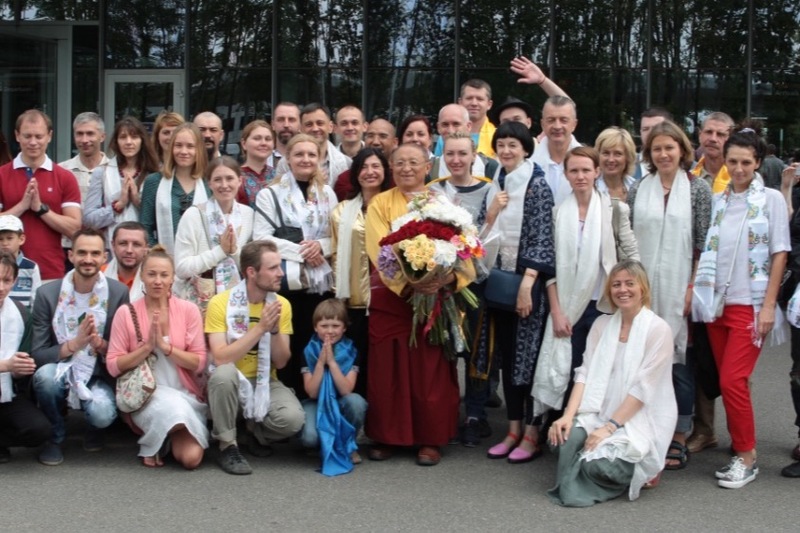 Some days ago Gyetrul Jigme Rinpoche was giving his profound Teachings in Ukraine. 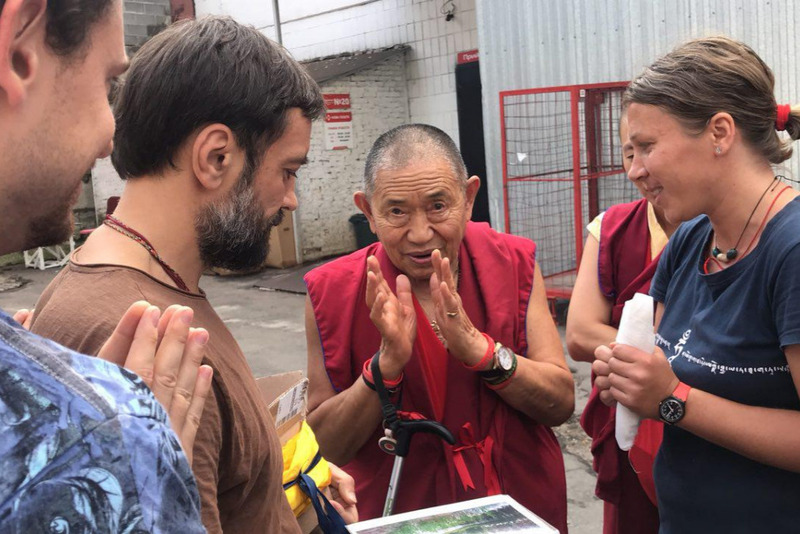 We couldn't miss the chance to meet this Master and tell him about our challenging project to build the first Buddhist temple nearby Kyiv that could serve as the place for practice for the followers of different lineages.Our project has touched Rinpoche deeply and he said that it would be healing for all the people of our country and give the sense of positive force. He showed his deep interest in the project as it would be a great representation of Buddha's wisdom and compassion. Rinpoche said his prayers and blessed the soil from Jangchub Choling. He showed his strong confidence in our ability to build the temple. We are very grateful Gyetrul Jigme Rinpoche for his inspiring words and blessings. Garchen Rinpoche blessed the soil of Jangchub Choling, the future Ukrainian retreat center of Vajrayana. Rinpoche granted his blessings responding to the request of his students and the students of Chokyi Nyima Rinpoche for all Vajrayana followers to have good facilities for studying, practicing and realizing the Buddhist path. Specially for the retreat center we also bought a wealth vase that was consecrated by Garchen Rinpoche during The White Dzambala Wang ceremony.